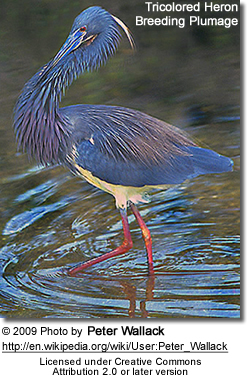 The herons are large wading birds in the Ardeidae family. Some species are referred to as egrets or bitterns. They have a mostly tropical distribution, and are widespread all over the world, except at the poles. Although herons resemble storks, ibises and spoonbills, but in flight can be differentiated by the fact that they fly with their necks retracted, rather than outstretched. The largest heron is the Goliath Heron (Ardea goliath) - which measures between 1.4 - 1.5m; and the smallest is the Little Bittern (Ixobrychus minutus) - which measures between 27 - 36 cm and weighs between 46 - 86 g.
The plumages vary amongst the different species - from white to black, through more or less dark grey, blue or brown. 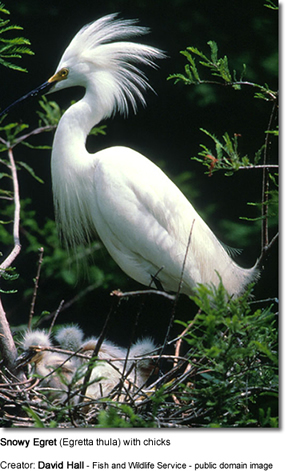 Day herons and egrets are medium-sized to large birds, with long neck and legs. Their bills are long and dagger-shaped, enabling them to hunt their aquatic preys, as well as catch small mammals and reptiles. The Boatbill - a member of the night-heron group - has a broad and heavy bill. Herons and Egrets hold their long necks in an 'S' shape with the head held back between the shoulders, even in flight, and this unique trait distinguishes them from the otherwise similar Storks and Cranes, which fly with their necks extended. These wetland birds mostly prey on fish, frogs and other aquatic species. Some prefer foraging on land and they may take lizards, snakes and large insects, such as the Cattle Egret. Their platform nests are made of sticks. The nest is a stick platform, often situated in trees, bushes or reeds. Both parents participate in the construction of the nest. 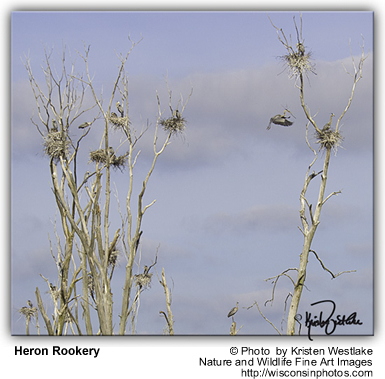 The nest starts out as a flimsy structure, but as several species reuse the nest year after year they build upon it and the platform nest grows very large. Some species nest in colonies in trees or bushes. Other species prefer to breed in reedbeds (such as the bitterns or the Purple Heron. 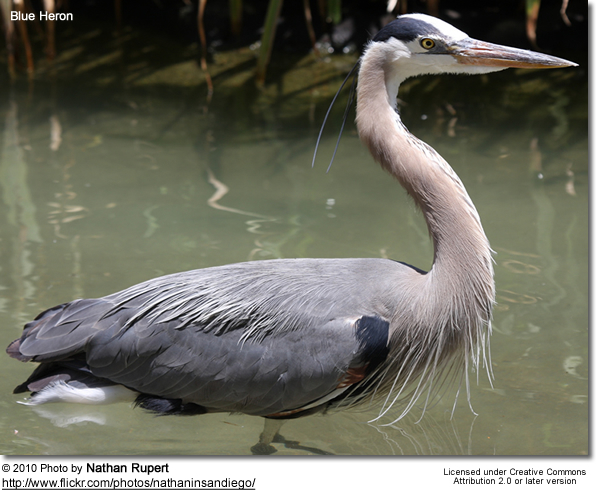 Herons usually nest near water - from low level in reedbeds to 65 - 98 feet (20-30 meters) in trees. The average clutch consists of 2 - 6 eggs, which are incubated for about 24 - 28 days. Once the young hatch, both parents feed them regurgitated food. The young fledge when they are about 2 months old.